There’s nothing subtle about 300: Rise Of An Empire. Its dialogue never rises above the snappy exchanges that would fit easily in the lettered boxes of comic books. In fact, given the stylised visuals mimicking that printed form, which is what inspired both 300 films, it wouldn’t be a surprise to see those boxes pop up in the corner of the screen. The easy charge to level at these films is that they are style over substance. But what style! Dust hangs elegantly in the air, the view over a god-king’s shoulder as two fleets advance on one another is breathtaking and the action splashes its gore around like a dozen splatter flicks rolled into one. Meanwhile, shocks of lightning capture battle scenes like a photographic negative, freeze framing the slash of blades and sprays of blood. None of which will be a surprise to anyone who saw 300. That film – along with Sin City – proved it was possible to bring a comic book to life on screen. Following huge success for 300, this blood and guts sequel based on Frank Miller’s unfinished comic follow-up was always going to do battle eventually. Themistokles is the hero this time around, an arrow in the Persian royal family’s side in the same way 300’s King Leonidas was. Thankfully, Sullivan Stapleton plays the role with a little more restraint, successfully dodging comparisons to Gerard Butler’s marvellous – if cartoony – hero. This is not Sparta. And while the golden god-king is on hand throughout, the film’s big bad is Persian naval commander Artemisia. It’s a role that sees Eva Green at her most moody and murderous, which is saying something given her recent turn as Arthurian witch Morgana. 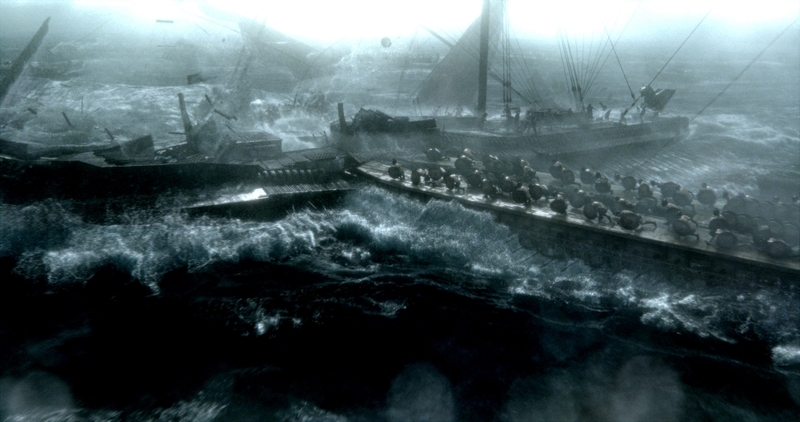 Be forewarned: if 300 didn’t float your boat, then all the vessels in this seafaring adventure won’t change that. But if watching Men’s Fitness cover stars wearing John Paul Gaultier cast offs hack lumps out of each other is your thing, there’s plenty to enjoy here. 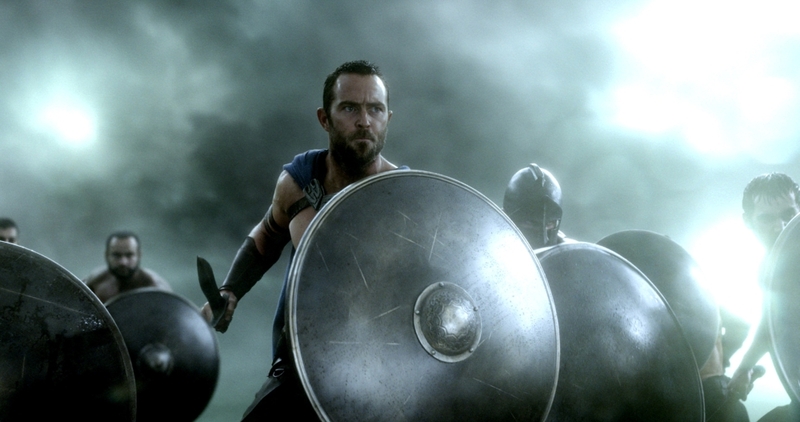 300: Rise Of An Empire opens in UK cinemas on 7 March 2014.